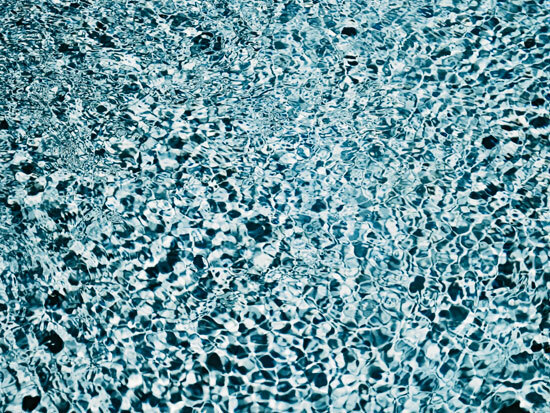 While I sometimes make a photograph of a subject *because* the subject has already been photographed, or painted, to death (like reflections of water in a swimming pool, this one from last week), I hardly ever print glossy. But in this case, I seriously consider ordering a super glossy 60 x 80 print and put it on the wall right over my computer screen in my New York Apartment, just for the summer months: Maybe it would make the Dog Days, the evil time “when the seas boil, wine turns sour, dogs grow mad, and all creatures become languid, causing to man burning fevers, hysterics, and phrensies”, just a little more tolerable. Next PostNext Baked Goods, By Mara L.